Borrowing the twin turbo 4-litre V8 found in the AMG GT, it’s certainly fast. In fact this is the fastest C63 ever, with the standard car getting to 62mph quicker than all of the outgoing models, including the Black Edition. 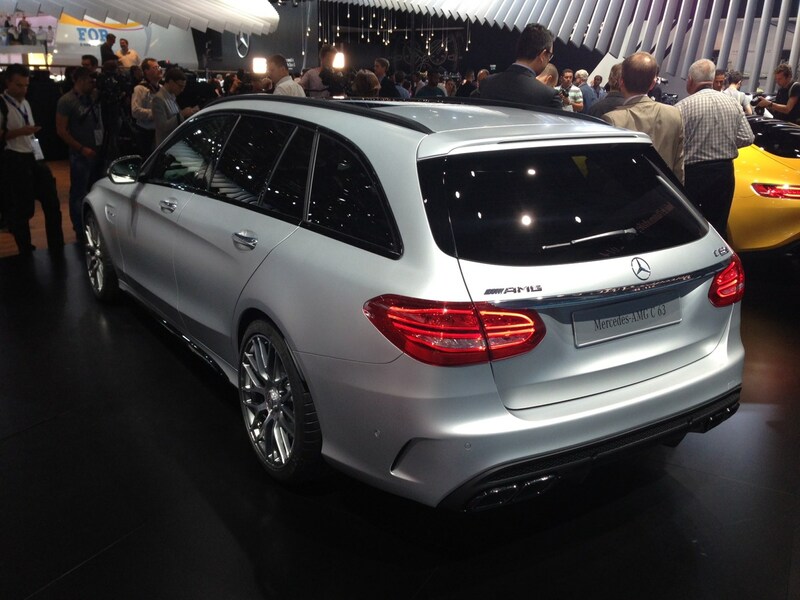 The estate version is no slouch either, getting from 0-62mph in 4.2 seconds, just 0.2 shy of the saloon. Getting the 371bhp onto the tarmac is a seven-speed automatic gearbox that Mercedes says is faster and more responsive than before. Handling has also received a performance orientated upgrade, with three-stage adaptive dampers giving the driver full control whether driving for comfort, or on track. Dynamic engine mounts have also been added to the C63 package in order to further improve handling, and ensure the around-town ride isn’t too choppy. Mercedes has also made significant inroads to reducing the environmental impact of the new C63. Despite offering high performance motoring, the car uses 30 percent less fuel than the outgoing model and has reduced CO2 emissions of 192g/km. It’s no Toyota Prius, but still manages 34.5mpg. The car is open to orders from October, with deliveries starting in Spring 2015. Read more in our Mercedes-Benz C63 AMG preview. Mercedes has unveiled the latest iteration of its premium compact people carrier, the B-Class. While on the exterior, changes have been far from radical, this offering is bursting with the latest technology and reduces CO2 emissions considerably compared with the outgoing model. In the engine bay, a choice of four diesel and four petrol powerplants are available. All of them have improved fuel consumption and reduced emissions relative to the current B-Class, meaning running costs have come down. In addition, the B180 CDI Eco engine emits just 94g/km of CO2, landing it in the coveted £0 VED bracket and making it very affordable for company car drivers. Mercedes has also reduced the emissions of the four-wheel drive B-Class to a frugal 130g/km, giving the safety and versatility of a 4x4 without the sacrifice of higher ownership costs. An all-electric B-Class has also been revealed, powered by a bank of batteries Mercedes say does not infringe on the spacious cabin. The range and cost of this new model have yet to be announced. The interior retains a premium feel, with a new freestanding eight-inch display to make Merecedes’ COMAND system easier to use. The new B-Class also gets the firm’s CONNECT ME feature, bringing the car into the Internet Age. This stores all of the car's information, doing away with a physical logbook. It also can text you the level of the fuel tank and pre-heat or cool the car before you get to it. Safety forms the backbone of CONNECT ME, however, with the car able to put occupants in touch with emergency services in the event of an incident. It will also send the car’s position automatically, along with the condition of the vehicle. 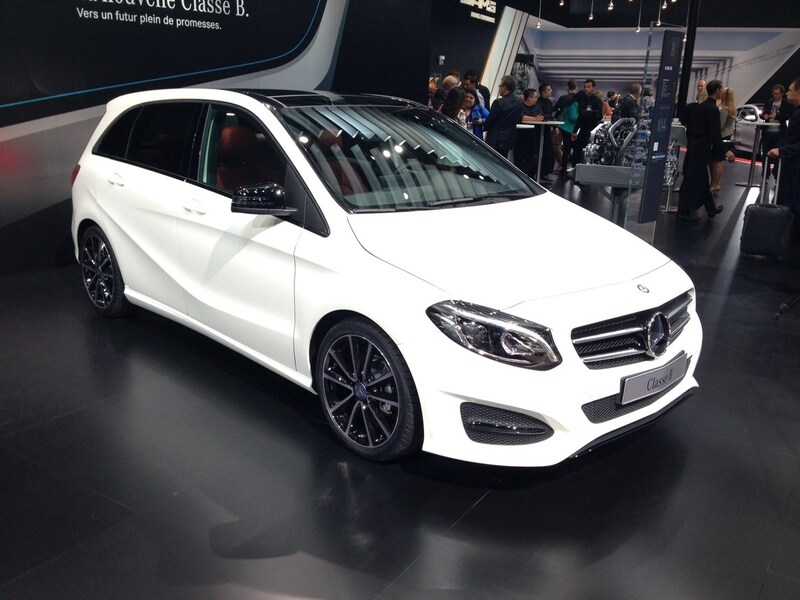 The B-Class is available to order now, will be at dealerships in November and starts at £22,575. Find out more in our Mercedes-Benz B-Class facelift preview. The S-Class has always been at the cutting edge of motoring technology as it ferried executives about in its super-luxurious surroundings. The latest S-Class is no different, yet one model sticks out as being the most advanced hybrid production car available right now. Firstly, please remember that the S500 plug-in hybrid is as fast as a Porsche Boxter S, accelerating from 0-62 in 5.2 seconds. It sports a 3-litre twin-turbo V6, and has room for four in the most sumptuous conditions this side of a Rolls Royce. That’s all well and good, but the S500 also does 100mpg and will cost you not a penny in VED tax. This is because its engine is supplemented by an 114bhp electric motor and bank of batteries that can be charged fully in just three hours from a household socket. Admittedly, this gives the S500 an all-electric range of 20 miles, but Mercedes cleverly acknowledges this by stuffing the car with the latest eco tech to make the powertrain as efficient as possible. Never before has an electric motor been mated so efficiently, and so harmoniously with a potent 3-litre V6. The harmony begins with an Eco Haptic Accelerator Pedal that vibrates when the car in front slows to prompt you to coast until it is necessary to brake. In addition, the Sat-Nav system in the car also reads the topography ahead, so the S500 knows it can deplete its batteries when going uphill because there’s a downhill stretch afterwards when it can recharge using gravity. The sat-nav also recognises when you’re driving towards a city, so it can recharge the batteries in advance to allow for full electric travel around town. It also has a moveable resistance point in the accelerator to let you know when the car will switch between all-electric and petrol power, a feature that should make eco driving far easier. All these advancements are but the headline acts in an impressive car. With the S-Class often serving as the cutting edge for motoring tech that eventually percolates into the mainstream, we can all get excited about the developments the S500 will bring. The S500 is on sale now, priced at £87,965. Find out what we thought of the new hybrid luxury car in our Mercedes S500 hybrid road test. This new supercar offering from Mercedes should certainly leave the 911 quaking. It boasts two more cylinders than the Porsche, in a turbocharged 4-litre V8. As a result, the Mercedes will produces 465bhp, does 0-62 in four seconds and goes onto 190mph. Power is sent to the rear wheels via a seven-speed double clutch gearbox. To improve handling, Mercedes has moved the engine back behind the front axle to give it a low centre of gravity. It also weighs 25kg less than the 911. It has some serious pedigree too, with underpinnings from the SLS and a new AMG Dynamic Select car set-up interface. This is quite clearly a drivers car, and given Mercedes has also announced that the GT will come with variable exhaust flaps, it should certainly sound one too. 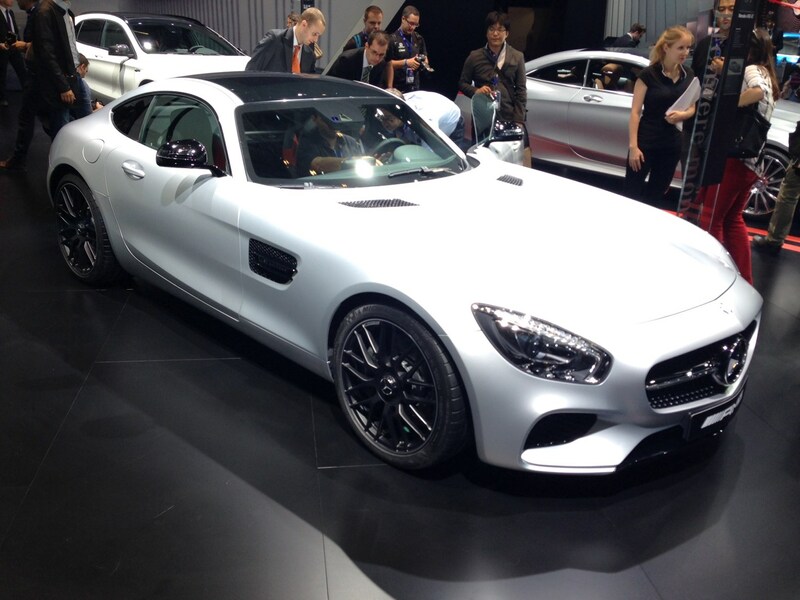 Find out more about the Mercedes-Benz AMG GT by clicking here.